Agriculture, including fishing and forestry, is Madagascar's largest industry and employs 82% of its labor force. Madagascar's varied climate, ranging from tropical along the coasts, moderate in the highlands and arid in the south, allows for the cultivation of tropical crops such as rice, cassava, beans and bananas. In 2011, agricultural products—especially cloves, vanilla, cacao, sugar, pepper, and coffee—accounted for Madagascar's top twelve exports by value. Madagascar produces the second largest vanilla harvest in the world and Malagasy vanilla accounts for about a quarter of the global vanilla market. Exports from Madagascars' Export Processing Zones, located around Antananarivo and Antsirabe, account for the majority of garment exports and are largely exempt from customs restrictions in the United States under the African Growth and Opportunity Act (AGOA) and in the European Union under the Everything But Arms (EBA) agreement. A small but growing part of the economy is based on mining of ilmenite, with investments emerging in recent years, particularly near Tulear and Fort Dauphin. Mining corporation Rio Tinto Group started production at its Fort Dauphin mine in January 2009, following several years of preparation. The mining project is highly controversial, with Friends of the Earth and other environmental organizations filing reports to detail their concerns about the mine's effect on the environment and local communities. Gemstone mining is also an important part of Madagascar's economy. Several major projects are underway in the mining and oil and gas sectors that, if successful, will give a significant boost. In the mining sector, these include the development of coal at Sakoa and nickel near Tamatave. The Ambatovy nickel mine (Sherrit International 40%, Sumitomo 27.5%, Korea Resources 27.5%, SNC-Lavalin 5%) is a huge operation and has cost USD $4.76 million to date  and is due to start production in 2011. In oil, Madagascar Oil is developing the massive onshore heavy oil field at Tsimiroro and ultra heavy oil field at Bemolanga. Following the 2002 political crisis, the government attempted to set a new course and build confidence, in coordination with international financial institutions and donors. Madagascar developed a recovery plan in collaboration with the private sector and donors and presented it at a "Friends of Madagascar" conference organized by the World Bank in Paris in July 2002. Donor countries demonstrated their confidence in the new government by pledging $1 billion in assistance over five years. The Malagasy Government identified road infrastructure as its principle priority and underlined its commitment to public-private partnership by establishing a joint public-private sector steering committee. The Madagascar-U.S. Business Council was formed as a collaboration between the United States Agency for International Development (USAID) and Malagasian artisan producers in Madagascar in 2002. The U.S.-Madagascar Business Council was formed in the United States in May 2003, and the two organisations continue to explore ways to work for the benefit of both groups. The government of former President Marc Ravalomanana was aggressively seeking foreign investment and had planned to tackle many of the obstacles to such investment, including combating corruption, reforming land-ownership laws, encouraging study of American and European business techniques, and active pursuit of foreign investors. President Ravalomanana rose to prominence through his agro-foods TIKO company, and is known for attempting to apply many of the lessons learned in the world of business to running the government. Prior to Ravalomanana's resignation, concerns had arisen about the conflict of interest between his policies and the activities of his firms. Most notable among them the preferential treatment for rice imports initiated by the government in late 2004 when responding to a production shortfall in the country. Madagascar’s appeal to investors stems from its competitive, trainable work force. More than 200 investors, particularly garment manufacturers, were organized under the country’s export processing zone (EPZ) system since it was established in 1989. 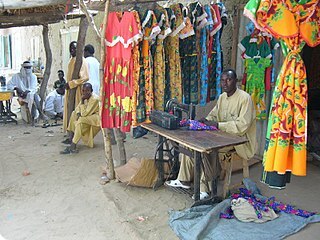 The absence of quota limits on textile imports to the European market under the Lome Convention helped stimulate this growth. Growth in output in 1992–97 averaged less than the growth rate of the population. Growth has been held back by a decline in world coffee demand, and the erratic commitment of the government to economic reform. During a period of solid growth from 1997 to 2001, poverty levels remained stubbornly high, especially in rural areas. A six-month political crisis triggered by a dispute over the outcome of the presidential elections held in December 2001 virtually halted economic activity in much of the country in the first half of 2002. Real GDP dropped 12.7% in 2002, inflows of foreign investment dropped sharply, and the crisis tarnished Madagascar's budding reputation as an AGOA standout and a promising place to invest. After the crisis, the economy rebounded with GDP growth of over 10% in 2003. Currency depreciation and rising inflation in 2004 hampered economic performance, but growth for the year reached 5.3%, with inflation reaching around 25% at the end of the year. In 2005 inflation was brought under control by tight monetary policy of raising the Taux Directeur (central bank rate) to 16% and tightening reserve requirements for banks. Thus growth was expected to reach around 6.5% in 2005. Despite a wealth of abundant and diverse natural resources, Madagascar is one of the world’s poorest countries. Madagascar holds great potential for agricultural development, mainly due to the large variety of soil types and climatic diversity. Nevertheless, natural hazards (cyclones, drought, locust invasions) combined with old-fashioned farming practices limit production. The standard of living of the Malagasy population has been declining dramatically over the past 25 years. The country has gone from being a net exporter of agricultural products in the 1960s to a net importer since 1971. Inappropriate traditional agricultural methods cause soil to erode and soil quality to decline, and the basis of survival for Madagascar’s people is under serious threat. In 2000, Madagascar embarked on the preparation of a Poverty Reduction Strategy Paper (PRSP) under the Heavily Indebted Poor Countries (HIPC) Initiative. The boards of the IMF and of the World Bank concurred in December 2000 that the country was eligible under the HIPC Initiative, and Madagascar reached the decision point for debt relief. On March 1, 2001, the IMF Board granted the country $103 million for 2001–03 under the Poverty Reduction and Growth Facility (PRGR). Resources were intended for improving access to health, education, rural roads, water, and direct support to communities. In addition, on March 7, 2001, the Paris Club approved a debt cancellation of $161 million. On February 28, 2001, the African Development Bank (ADB) approved under the HIPC a debt cancellation of $71.46 million and granted in June 2001 an additional credit of $20 million to fight against AIDS and poverty. Partly as a result of these credits but also as a result of previous reforms, average GDP growth exceeded the population growth rate of 2.8% in 1997 (3.5%), 1998 (3.9%), 1999 (4.7%) and 2000 (4.8%). In October 2004, the boards of the IMF and the World Bank determined that Madagascar had reached the completion point under the enhanced HIPC Initiative. (PPP) 7.82 bil. 9.28 bil. 12.39 bil. 13.75 bil. 18.00 bil. 22.72 bil. 24.68 bil. 26.97 bil. 29.48 bil. 28.78 bil. 28.72 bil. 29.74 bil. 31.20 bil. 32.42 bil. 34.10 bil. 35.54 bil. 37.50 bil. 39.77 bil. Graphical depiction of Madagascar's product exports in 28 color-coded categories. ^ "World Bank forecast for Madagascar, June 2018 (p. 153)" (PDF). World Bank. Retrieved 11 September 2018. ^ "Ease of Doing Business in Madagascar". Doingbusiness.org. Retrieved 2017-01-24. ^ a b c d United States of America. "The World Factbook". Central Intelligence Agency. Retrieved 2 March 2015. ^ "'SADC does not, cannot recognise Rajoelina'". Independent Online. Agence France-Presse. 19 March 2009. ^ Republic of Madagascar (3 June 2014). "Letter of Intent, Memorandum of Economic and Financial Policies, and Technical Memorandum of Understanding" (PDF). International Monetary Fund. International Monetary Fund. p. 4. Retrieved 25 February 2015. ^ United Nations. "Commodities by Country". FAOSTAT. Food and Agriculture Organization of the United Nations. Retrieved 26 February 2015. ^ United Nations (16 June 2009). "Vanilla: Post-harvest Operations" (PDF). Food and Agriculture Organization of the United Nations. p. 14. Retrieved 6 March 2015. ^ "export.gov". www.export.gov. Retrieved 2018-06-26. ^ United States of America. "AGOA Eligibility". International Trade Administration. Retrieved 28 February 2015. ^ European Union (30 April 2013). "Everything But Arms (EBA) – Who benefits?" (PDF). European Commission: Trade. Retrieved 28 February 2015. ^ Madagascar – Mining: Heavy Minerals Mining Archived 2008-03-31 at the Wayback Machine. Mbendi.co.za. Retrieved on 2012-05-28. ^ Media releases – Rio Tinto starts ilmenite production in Madagascar Archived 2011-09-30 at the Wayback Machine. Rio Tinto. Retrieved on 2012-05-28. ^ Rio Tinto's Madagascar mining project. Foe.co.uk. Retrieved on 2012-05-28. ^ "Made in Madagascar: Exporting Handicrafts to the U.S. Market: a Project with the UN Public-Private Alliance for Rural Development; Final Report", A Project with the UN Public-Private Alliance for Rural Development. ^ "Report for Selected Countries and Subjects". Retrieved 2018-09-04. Wikimedia Commons has media related to Economy of Madagascar. Why is Madagascar so poor? Lesotho is geographically surrounded by South Africa and economically integrated with it as well. The economy of Lesotho is based on agriculture, livestock, manufacturing, mining, and depends heavily on inflows of workers’ remittances and receipts from the Southern African Customs Union (SACU). The majority of households subsist on farming. The formal sector employment consist of mainly the female workers in the apparel sector, the male migrant labor, primarily miners in South Africa for 3 to 9 months and employment in the Government of Lesotho (GOL). The western lowlands form the main agricultural zone. Almost 50% of the population earn income through informal crop cultivation or animal husbandry with nearly two-thirds of the country's income coming from the agricultural sector.